The Cub Scouts program is a year-round family program designed for boys who are at least five years old and in kindergarten through fifth grade, and not older than 10 years of age. Cub Scouts serves as a great introduction to the world of the Boy Scouts of America. Hugo Pack 151 is sponsored by the Hugo American Legion Post 620 and has been in existence for over 55 years. We have a fairly large and very active Pack with over 80 Cub Scouts participating. Visit www.hugocubscouts.org for more information. 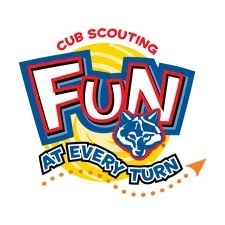 Scouts in Pack 151 usually meet with their own age group (Den) 1-2 times each month and are invited to join all Hugo Cub Scouts (Pack) 1-2 times each month for Pack Meetings and other Outings. Meetings usually last 60-90 minutes and are held at Hugo School or City facilities or at the Hugo Legion Hall. All meetings are FREE to attend for all participants. Whether organized by the Pack or our Northern Star Council, Outings and Camps can go from a few hours to all day. Outings can include field trips, sporting events and other fun activities. Day Camps and overnight camping are meant to introduce camping to youth in an age-appropriate manner. Costs to participate will be out of pocket for families and will be published prior to the registration window to participate. Costs average $25-$50 per person. Participation in all meetings & outings is completely voluntary. Registration for Cub Scouts of America is $25 through 2014. Optionally, a Boy’s Life subscription is $16 through 2014. Pack 151 asks for a $10 Activity Fee for starting Scouts. Uniform costs are described below. As mentioned above, Meetings will usually be no cost to participate but optional Outings and Camps will have additional costs associated with them. Cub Scouts are expected to have an official Class A (Blue) shirt to wear when attending meetings and most outings. Costs to purchase a new Uniform with all needed components will run about $55. The Pack will provide a Class B T-Shirt at no cost for other outings and camps. Uniform items that change annually as Scouts progress are provided by the Pack at no cost. (Neckerchief & Slide) Blue Jeans or any Navy colored short or pants are fine for uniforms. Official Scout pants are not required. Used uniforms are available through the Council. Cub Scouts is a Parent Run Program. Parents are required to participate actively (1-on- 1) with their own Scouts in grades K-2 and encouraged to participate beyond that with their Scouts throughout the program. All parents are asked to volunteer to help organize or run at least one meeting or activity during the year. In addition, 1-in-4 Scout Parents are needed to become Trained Leaders at either the Den or Pack level to organize and run Den and Pack efforts. Working with youth other than your own child is not necessary for Leadership. To cover the costs of running Pack Meetings, purchasing Advancement Awards and other overhead, all Scout Families are asked to participate in Pack organized Fundraising efforts. A percentage of earned funds will go into your own Scout account to help offset the out- of-pocket costs of Outings and Camp participation. Traditionally, Pack 151 sells Popcorn and Wreaths in the autumn. New Scout Registration for Hugo Pack 151 will be held in the Hugo Elementary Cafeteria on Thursday, September 12th 2013 at 5:30pm. A Pack meeting will follow at 6:30pm.